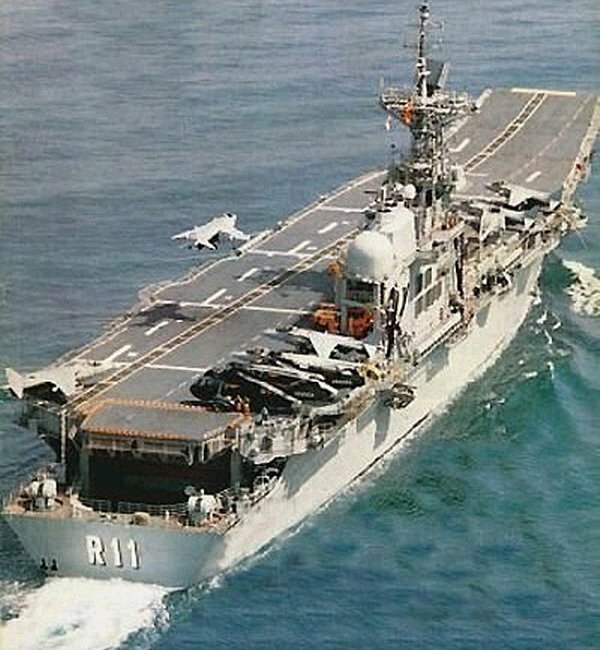 The Principe de Asturias aircraft carrier was commissioned by the Spanish Navy in 1988. The layout of the ship was partially derived from the older design of the US Navy Sea Control Ship. The hull was laid down in 1979 and the ship was launched in 1982. 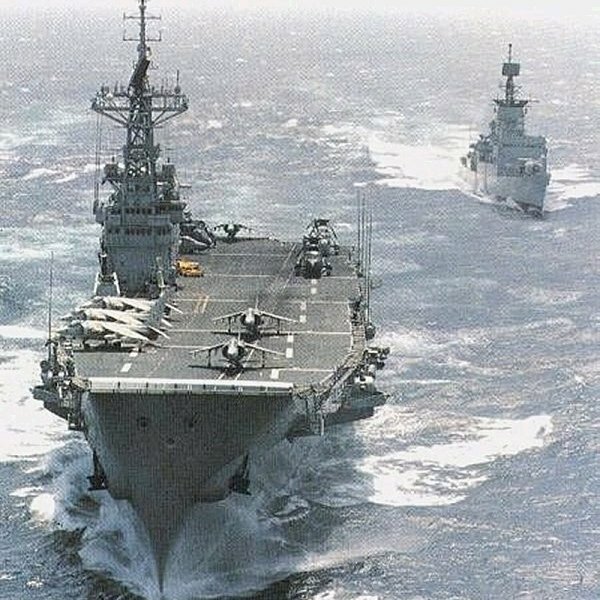 But the integration of a Tritan Digital Command and Control System and the installation of a Flag Bridge to meet the requirements of the Spanish Navy delayed the commissioning ofuntil 1988. The Spanish Navy is planning a mid-life upgrade for the vessel to make it more effective for littoral warfare. 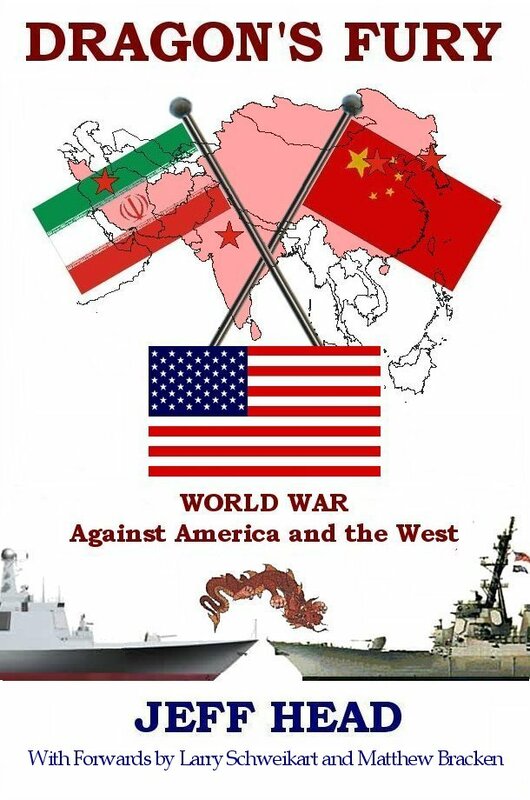 The upgrades will include improving anti-ship defenses and the command and control system. 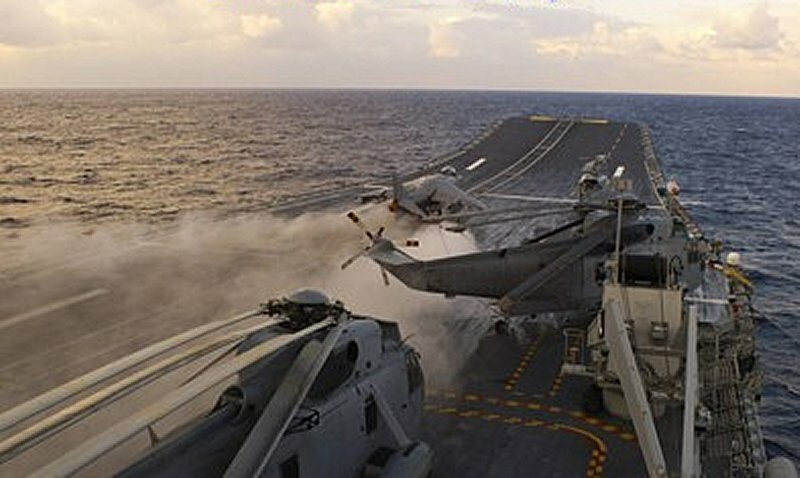 The ship supports up to twelve AV-8B Harrier II Plus aircraft. 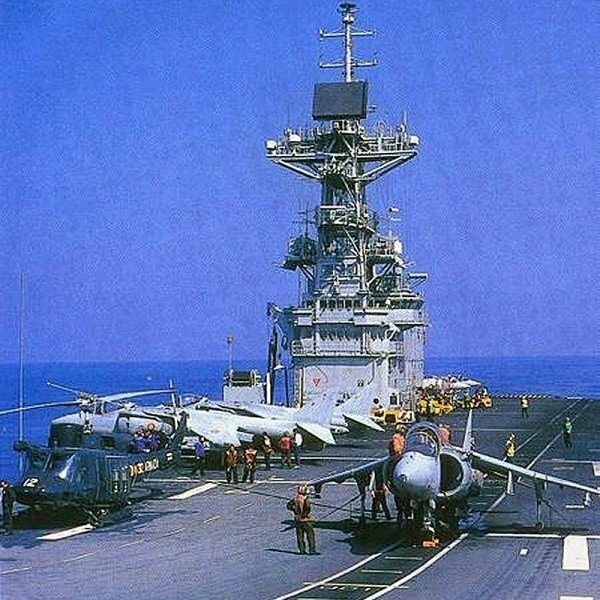 The Harriers are armed with AIM-9L Sidewinder and AIM-120 AMRAAM air-to-air missiles and AGM-65E Maverick air-to-ground missiles, in addition to GAU-12U cannon. 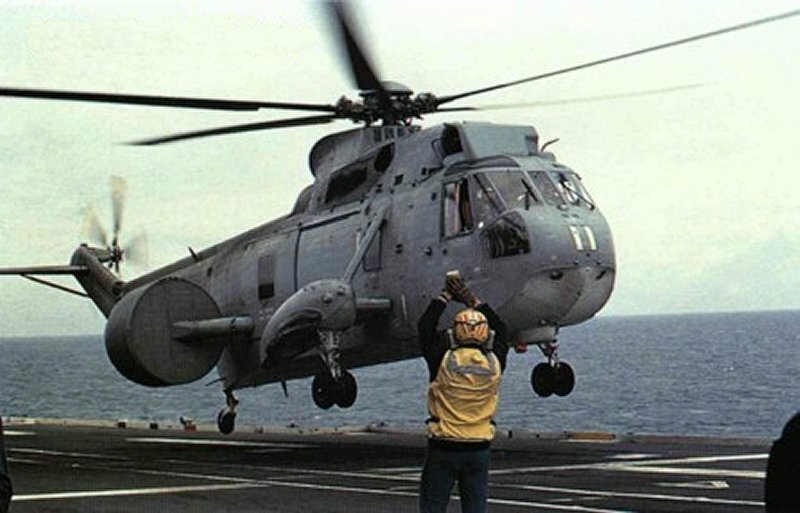 The carrier also has facilities to support up to twelve helicopters, usually six Sikorsky Sea King SH-3H, four Agusta AB-212 and two Sikorsky SH-3 AEW helicopters. 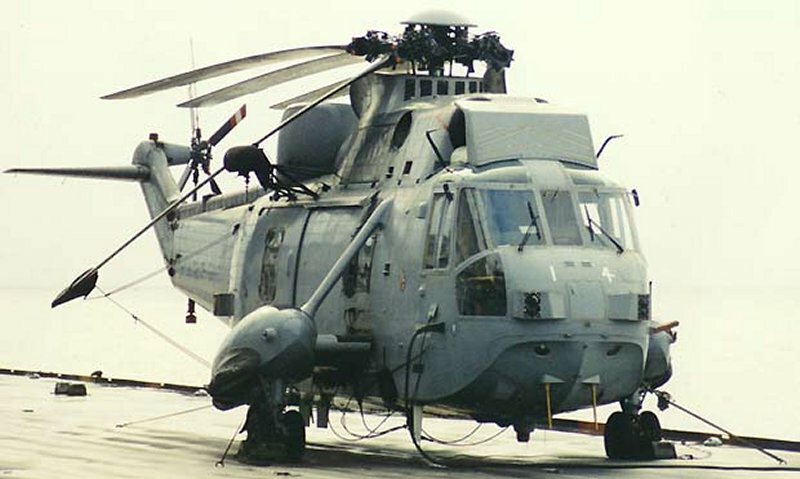 The carrier supports a maximum of 29 fixed wing and rotary wing aircraft with up to twelve on deck and 13 aircraft in the hangar. In an emergency a maximum of 17 aircraft can be stored in the hangarwhich is accessed by two elevators. With its Spanish F100, AEGIS frigate escorts, the carrier Asturias stands ready and able to defend Spain's maritime and strategic interests in the high seas.